Maria Caridad Campos has been working with Victor's Vision since 2013, fulfilling her wishes to bring support to children. She has been happily teaching for 14 years, but continues to gain new knowledge. In addition to her work with Victor's Vision, she is also the director of a private school. 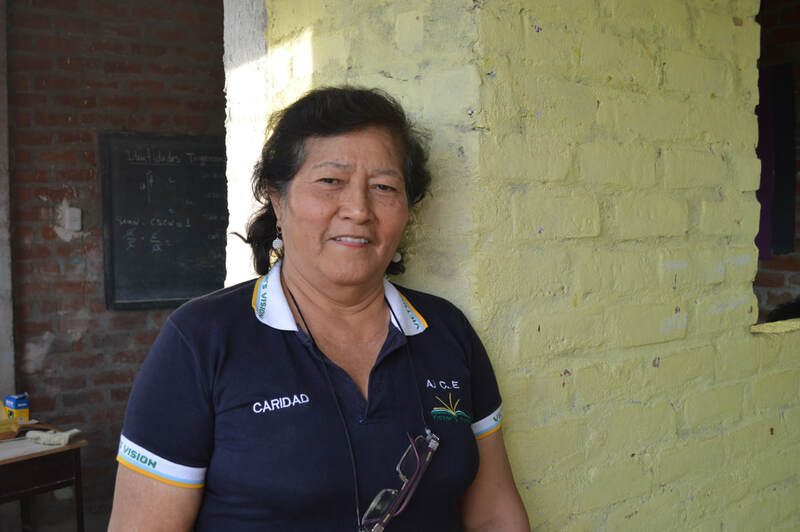 Caridad has one of the longest records of time with Victor's Vision and her dedication has helped the program grow and change to fit the students' needs. Maria Caridad workes with Victor's Vision because she wants to support and contribute to its noble mission. She wishes to change education systems so that students can take advantage of everything they are provided. She hopes to initiate projects to improve the quality of life for the students and their families.